Building Trade members are trained in the latest renewable energy technologies including both wind turbines and solar panels. 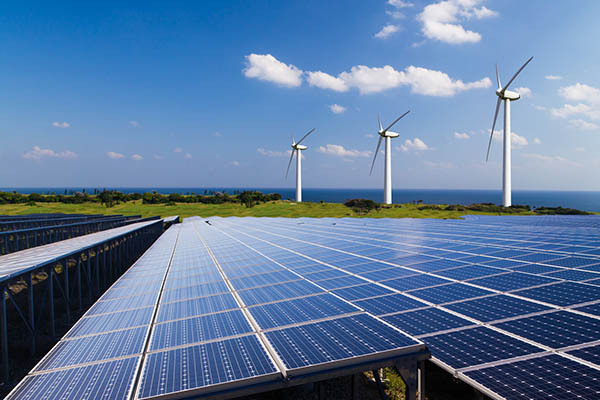 As fossil fuels become less popular and available, renewable technologies will provide valuable clean, green energy to the grid, helping power cities, townships, and villages across the state. ACT Ohio affiliated members receive the training necessary to properly install and maintain wind turbines and solar panels. Several of our affiliated training centers utilize either solar or wind power to provide energy to their building, as well. Ohio’s Building Trades members are dedicated to understanding all types of energy production and investing in the renewable energy that will be sustainable for decades to come.